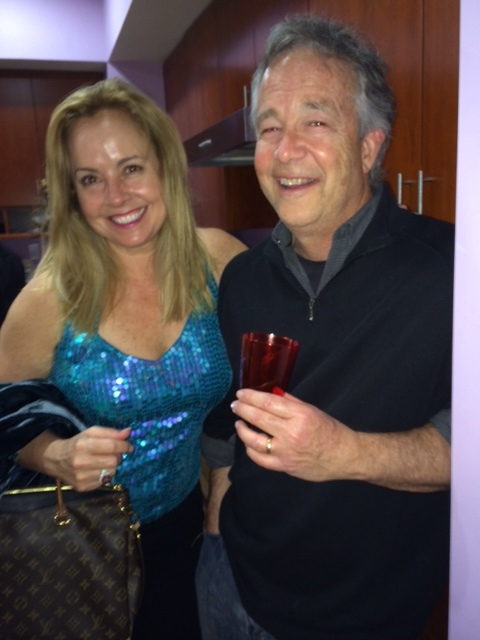 Tales from the Trail of a YA Author – Lights, camera, action! I’m writing here to spread the word about a cool upcoming http://www.WriteGirl.org show and fundraiser featuring performances, a red carpet, silent auction, photo booth, catered food and drink, and more. IT will take place on Saturday, April 26 at the Linwood Dunn Theater in Hollywood. During the day will be a regular writing workshop during which mentors & celebrity screenwriters will guide the girls in writing monologues and scenes. In the evening, celebrity actors including Troian Bellisario (Pretty Little Liars), Keiko Agena (Gilmore Girls), Aasha Davis (Friday Night Lights), Sprague Grayden (24), and Mike Rock (Chelsea Lately), and Trevor St. John (Bourne Ultimatum) will perform the scenes at a fundraiser event open to the general public!!. For the evening event Lights, Camera, Writegirl : the girls, also known as the mentees, will attend for free, but all parents, volunteers, & guests will be asked to purchase $100 tickets or $250 VIP tickets. And this weekend, WriteGirl mentees will be reading their works at LA Times Festival of Books. http://events.latimes.com/festivalofbooks/ I will too!! I’ll be signing and reading my books on Sunday, APril 13 at the Independent Writers of Southern California (IWOSC) http://www.iwosc.org booth #131 from 10 am to noon! Stop by! Just got the coolest Thank You poster from students at Baldwin Middle School in New York. Love getting fan mail ! Happy April!!! Spring has started off with a roar! Been busy doing a little freelance work, writing my third book and volunteering for http://www.WriteGirl.org, where I’m helping pregnant and parenting teens prepare their submissions for the yearly anthology. I’ve been really enjoying the time I spend mentoring on Tuesdays at La Vida West High School with them and will share more about that later. Also looking forward next week to the Los Angeles Times Festival of Books http://events.latimes.com/festivalofbooks/, where I’ll be signing copies of Flying Through Music and The Practice Room at the Independent Writers of Southern California (IWOSC) booth http://www.iwosc.org, on Sunday, April 13, from 10 am- noon. Stop by! 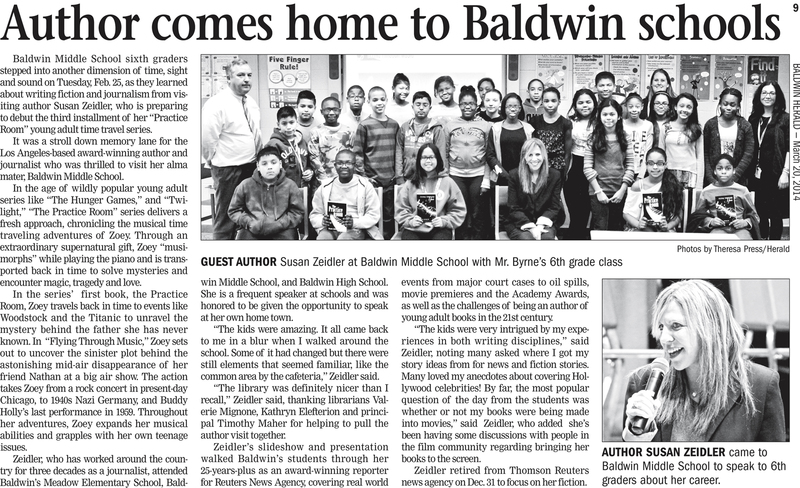 Also, the Long Island Herald published a nice article about my school author visit to my home town middle school in Baldwin, New York. Here it is!! The disappearance of Malaysian Airlines Flight 370 has triggered fascination, disbelief, shock, horror and misery for two weeks. Now officials are saying the plane has crashed and all the passengers perished, sparking a backlash by families of the victims. We may never know what happened, but speculation continues. “Experts” have been talking scenarios of terrorism, suicidal pilots, equipment malfunction and fires. Some TV pundits like CNN’s Don Lemon had even taken to using the S word. Was it a supernatural phenomenon? Lemon asked if a black hole had caused the plane to go missing. It’s been remarkable to see that degree of wild speculation on a news channel. It’s just so hard for anybody to imagine an entire airplane disappearing without a trace. It was also strange for me since my book Flying Through Music http://www.flyingthroughmusic.com is about a plane that mysteriously disappears mid-flight at an air show. I wish I could write a better ending for Malaysian Airlines Flight 370. In my book, readers discover the plane is actually transported back in time through a phenomenon called “musi-morphing.” It’s a form a time-travel (I’ve made up!) used by certain musicians called musiators. Nathan, the unfortunate pilot in my book, is musi-morphed against his will to scenes where great musicians like Buddy Holly, Stevie Ray Vaughan and Glenn Miller all perished in flight. Glenn Miller disappeared in one of aviation histories’ greatest mysteries when he disappeared over the English CHannel without a trace. But now there is the mystery of Malaysian Airlines Flight 370. Maybe truth is stranger than fiction. Whatever happened, it certainly is heartbreaking. IWOSC stands for the Independent Writers of Southern California and is a great community of writers and a great resource. Twice a year IWOSC holds this special event offering an afternoon of eclectic, eccentric, and exemplary works — from poems to true stories to hilarious monologues and beyond, read aloud by IWOSC scribes. Fifteen of IWOSC’s talented member writers will read short excerpts from their work. Readings will take place from 2-4 pm, at Vroman’s, the oldest and largest independent bookstore in Southern California, 695 E. Colorado Blvd., Pasadena, CA 91101. Free. The public is welcome. In the meantime, I received wonderful feedback on my author visit to New York. God Bless school librarians. Baldwin Middle School librarian Kathryn Elefterion wrote me the following: Thank you SO very much for coming to Baldwin Middle School and speaking with our students. I can tell you that many of our sixth graders were very excited to meet you and hear about your books–they have been in high demand from our library ever since! It was a very meaningful experience for the students–any time we can expose them to something new and different is a great opportunity. I hope you enjoyed your time here and that the rest of your stay in NY was memorable. Again, thank you for your time and your wonderful presentations. 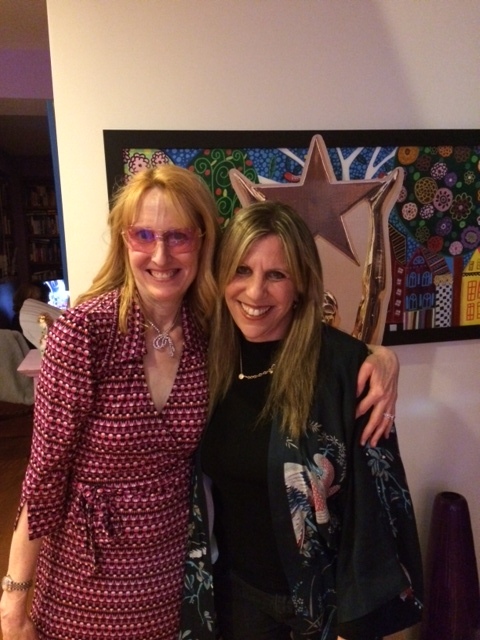 Attended Robyn Martin and Bruce Resnick’s great Oscars bash on Sunday. Robyn dressed up like Amy Adams’ character in American Hustle! Robyn’s quite a character herself!. When she’s not throwing fabulous Academy Awards parties, she’s a senior vp and attorney for New Line, which means she’s very busy with the Hobbit franchise! The Martin-Resnicks run an Oscar pool each year, with live scores broadcast throughout the night. I never win but it’s still fun! I did nail most of the big categories; Matthew McConaughey for best actor, Cate Blanchett for leading actress, 12 Years a Slave for best picture. For the rundown, here’s Reuters wrap up of the Oscars. http://www.reuters.com/article/2014/03/03/us-oscars-idUSBREA1P16O20140303 One of the evening’s funny moments was Ellen DeGeneres’ star-studded selfie of herself with several celebs including Meryl Streep, Bradley Cooper, Brad Pitt, which apparently crashed records on Twitter for re-tweets. I came back to LA just in times for the Oscars, after traveling to New York and Florida, where I had a great time and author visit at my alma mater, Baldwin Middle School, in New York. 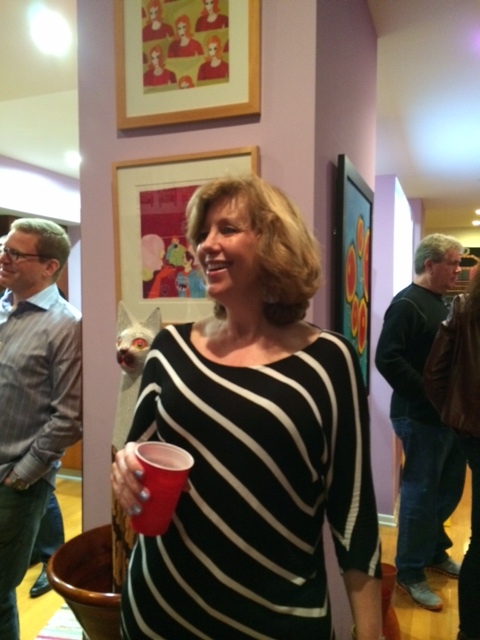 Thanks again to librarian Valerie Mignone who really helped pull it together. Also attended the Society of Childrens Book Writers and Illustrators (SCBWI) conference http://www.scbwi.org in Manhattan, saw fam and friends and a few Broadway shows including #AlltheWay starring the amazing Bryan Cranston as LBJ and #KinkyBoots, with music by Cyndy Lauper. Next on the literary front is my first public reading of my upcoming novel Healing Rhapsody on March 16 in Vromans Bookstore http://www.vromansbookstore.com Pasadena. This will be the third book in my Practice Room trilogy and will be coming out in 2015! And today was my first stint at volunteering with pregnant and parenting teens at the La Vida West High School in Lawndale with Writegirl.org. What an amazing bunch of kids. During our session, we focused on the spoken word and composed group nursery rhymes. This week marks the 90th anniversary of the debut of Rhapsody In Blue! I just bought the 31-page piano score of the George Gershwin classic and started working on it! It will probably take me 30 years to get it right, but bring it on! When I Googled the title to hear a performance, I soon discovered the piece was first performed in public by Gershwin himself on February 12, 1924! I’m working on Summertime too! Can’t seem to get enough of Gershwin (who is likely to feature prominently in my new book!) but neither can a lot of people! The composition’s debut is being recreated in New York City at Town Hall, near the now-closed Aeolian Hall, where it debuted in 1924. The original concert, which turned out to be a milestone in jazz and classical music, was billed as “Experiment in Modern Music.” For more info on this week’s show featuring Vince Giordano and the Nighthawks and jazz pianist Ted Rosenthal, please check : http://thetownhall.org/event/521-90th-anniversary-george-gershwins-rhapsody-in-blue. According to historians, band leader Paul Whiteman asked Gershwin in Nov 1923 to create a piece for an all-jazz concert set for Aeolian Hall in February 1924. But it wasn’t until early January when Gershwin set out to compose the piece, with only five weeks left. 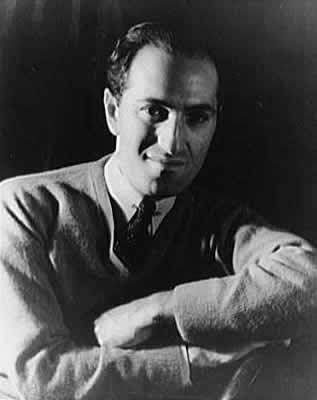 Gershwin reportedly drew inspiration for Rhapsody during a train journey to Boston.